At the end of December 2011, I finally read Robert McCammon’s A Boy’s Life. One of the more amazing reading experiences I’ve had—maybe I’d somehow known to save it for the month before I turned forty? Anyway, somewhere in it the grown-up narrator says how important it is to always keep listening to the new music, how that keeps you alive in a very important way, and then he goes on to list a lot of bands I’d never consider listening to. It flashed me back to one of CJ Box’s Joe Pickett books, where Joe’s daughter accuses him of getting off the music train at one comfortable station, and never going anywhere else, and what we get from this is that Joe’s kind of stubborn and stuck, is afraid to move forward, is using what he grew up with like a security blanket. And then, on the radio some recent Sunday morning, a DJ was playing this clip of a Michael Stipe interview, where he was saying the day Patti Smith’s Horses dropped, he listened to it all night, ate a bowl of cherries, threw up, and was never the same again, that he knew now what he wanted to do, to be. It really hit me, that. I mean, not the Patti Smith—I just had to look up how to spell her name (the obvious way, as it turns out [but is there another one out there? ], and I don’t think she’s in that ‘Smiths’ band, but don’t quote me on that)—but that an album could change somebody’s life. I mean, it shouldn’t hit me like that. Novels and stories change me every week, and albums, they’re not that different, right? Just another medium, just another way to connect. I’m sure I just default to fiction as I’ve kind of got a horse in that race. All my horses, really. 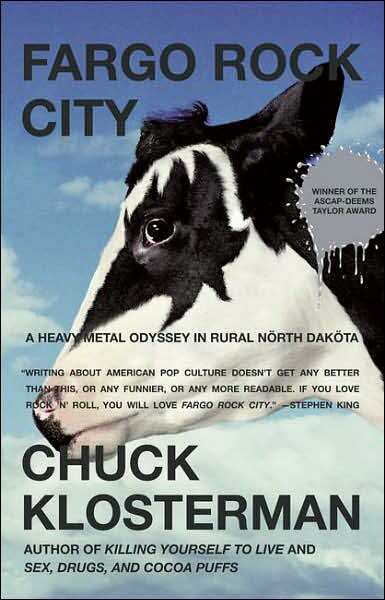 Anyway, now—another ‘finally’—I’m reading Chuck Klosterman’s Fargo Rock City, which I think I’d been consciously avoiding for a while because I didn’t need anybody to academic-up all the bands and albums and songs so close to my heart. I made it through with my D.A.D. intact, I mean, with my Kix and Cinderella still real, never ironic. I’ll still get kind of hopeful and drifty when the right Slaughter song plays, I mean, or the right Trixter, and I’ve still never listened to Nevermind, specifically because it killed so much of what was good and pure and right (see: trashy and loud and fast) in the world. All of which is to say Klosterman was writing for me, it feels like. And all the way back in 2001, ten years after the bottom fell out of hair metal but before YouTube made all this ‘lost’ stuff available all over again. And, I shouldn’t have worried about Fargo Rock City, of course—Klosterman’s in no way coring the magic out of having grown up hanging on Bret Michael’s every last word. Reading it, too, I still so clearly remember gearing up to beg a ride into town on Friday nights when I was thirteen and fourteen, to walk the mall for three hours, bandannas and chains tied all over me like I knew from the Friday Night Videos, my clothes shredded, barely hanging on. Elvis. One of my very earliest memories is of being at one of his concerts, of somebody holding me up above the crowd. It was a sea of flashbulbs, and, out past all of them, this impossible guy in sparkling white. Elvis. It’s so clear in my head. And I still listen to him on and off. Him dying, it hit my mom and one of my step-dads really hard—like, seriously hard, JFK-hard—so there were always sad times of the year, growing up. 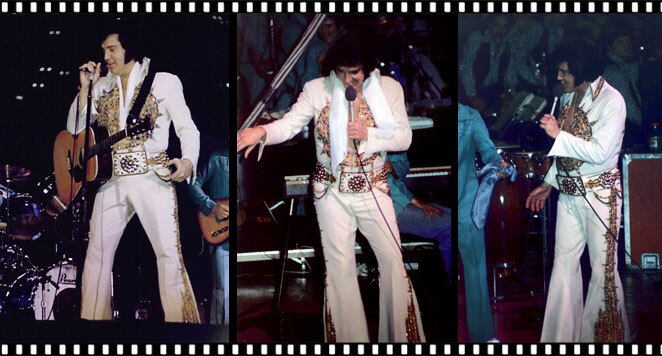 Elvis times. We knew when his birthday was, always. It reminded us that he wasn’t having any more birthdays. But then I’d see him smiling up from some album cover and know that everything was still cool. That there was still magic in the world. That he was still there past all the flashbulbs. Rod Stewart. This would have been when I was about five. My step-dad at the time had a very strong suspicion he was Rod Stewart re-incarnated. I mean, without Rod Stewart being dead, even. So he had the big hair, the bad habits, the sunglasses, and always the music playing. I remember riding in his Trans-Am on the interstate between Stanton and Big Springs (Texas), going faster and faster, him screaming with the music, holding his silver can up through the t-tops, toasting the world. I used to always think we were going to wreck and die, going so fast. But he was Rod Stewart. He was invincible. We just went faster and faster. Sometimes you can turn it up to 11. Gene Simmons and Barry Gibb. In the late seventies, I had somehow acquired the slipcases for a BeeGees album and a KISS album. I’m pretty sure the KISS was Destroyer. No clue what the BeeGees was, except that Barry Gibb was my instant idol—the disco pic of him was so cool, and he looked so on top of the whole world. And Gene Simmons. Every quarter I could scrounge, I was at the convenience store buying blood tablets. This was first and second grade, living in town. And, no, I never saw, don’t think I ever had, the records that came in those sleeves. It was never about the music, it was only ever about the look. Michael McDonald and “What a Fool Believes.” My step-dad at the time was a big Doobie Brothers fan (Boston too), so of course I got inducted into that particular van. What it involved was a walk-through of “What a Fool Believes,” line by line, him unpacking each word to tell me what McDonald was really saying. How his heart was breaking, was so broken, but how he insisted, how he believed, and how that, that was magic, kid. This was my first experience reading between the lines of a text. So, yeah, when I got to George Jones’ “He Stopped Loving Her Today,” man, I was ready, I knew that song before I heard it. And when I got to college years later, of course I became an English major. I’d been trained to read close, to read through, to dig down to what’s really going on. These Doobie Brothers, man, they’ve served me well over the years. The Moody Blues and Long Distance Voyager. This is the first album I ever listened to probably five hundred times in a row, reading along with the liner notes. Third grade, living in a half-built house back in the country. And it was vinyl, of course; I’d have to sneak in, because we had some sort of ‘diamond tip’ (?) for a needle, which I was sure to break if ever given access. So I had to take what access I could. But I learned every single nuance of that album, and still know it. Outside of Tesla’s Five-Man Acoustical Jam and a couple I’ll talk about in a bit, it’s maybe the only album I know so well. “The Voice” still gives me shivers. These guys were accessing a deeper reality, and, through the music, I could kind of see it too, if I held my breath. 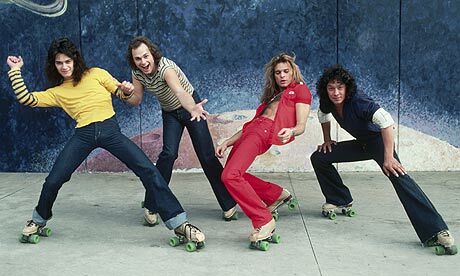 Van Halen, “Jump.” When this would play at the skating rink—which was the only place I ever heard it (none of us had any Van Halen albums)—what you had to do was skate as fast as you could and them jump hard each time whoever that was said that magic word. And, if you really believed, if you really loved the song and knew it was true, you’d jump without any care of landing. Which is to say you’d wipe out fantastically, and usually hurt yourself in some good way. It’s one of the purest feelings I’ve ever known, I think. There’s nothing like sixth grade. Except all the other grades. “Summer Lovin’,” Grease. Somehow in sixth grade I got cast (or maybe there was no casting, there was just volunteers?) as Danny Zuko in what was going to be our year-end production of Grease. What that meant was gathering after school each day at this girl Tandy’s trailer to listen to the Grease record in her bedroom, and singing along to “Summer Lovin’.” I don’t think we ever did the play, either, though I do remember everybody dressing like Happy Days the last day or so of class, and we did watch Grease, and might have done sing-a-long with it? Anyway, man: it was never just about learning the lyrics, it was about living in the pauses, in the breaths. I’m still there, I think. Had me a blast. Huey Lewis and Night Ranger. The first concert I ever went to. No clue how they were on the same bill, but I’ll never forget the stage before “Heart of Rock ’n Roll” came on. How they lit it red and let it pulse. How it became a heart, how it made us all scream and hold our breath because we knew what was coming, we knew what was coming and we couldn’t wait even one heartbeat longer. And “Sister Christian.” I don’t clearly remember it from this concert, but they must have played it. They must have, because that song’s planted so deep in me that removing it would kill me, I think. 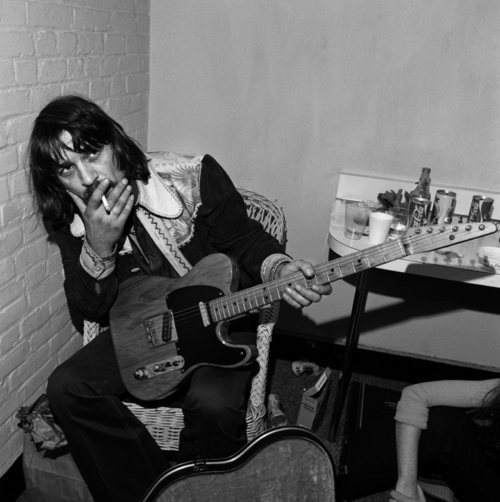 Waylon Jennings, Will the Wolf Survive. 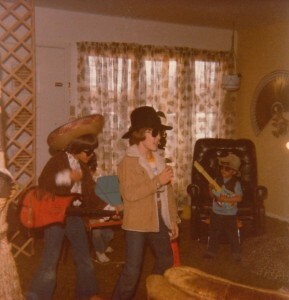 This wasn’t my intro to Waylon—one of my uncles was way into him, and I’d spend a few years following him around Texas—but this was the tape that was in the cassette player of the 1970 copper-colored Nova that uncle would let me drive when I was twelve, so long as I was driving to some riser, to hoe weeds all day. I feel like I must have listened to that album thousands of times. And, every time through that title track, man: I’d see that wolf ghosting across some frozen-over lake. Years later when I saw that for real once, Waylon’s who I would think of, without even meaning to, even though he was dead by then. Run, I would say to him, out there. Keep going, man. Roseanne Cash, “Seven-Year Ache.” This is still probably my favorite song in the world. Hearing it on the radio in seventh grade or so, I knew one thing for true and certain: I wanted to be that guy she was singing about. Or, no: I already was that guy, just, nobody knew it yet. But wait, world. You’re all going to see the real me someday. 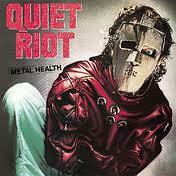 Quiet Riot, Metal Health. I think I found them through Footloose, maybe the most important soundtrack of any of them, for me. Those giant, ragged-out shoes dancing behind the intro credits? They completely changed the course of my life. I was sitting in the very front row, looking straight up, would never be the same again. And, Metal Health (and Stay Hungry, but this one was always tangling up in my player), this was my lawnmowing tape. Five acres twice a month, with a push mower. I knew that album inside-out, frontwards and backwards, and spent so many hours on my bed, studying the cover of the case, that guy in the metal hockey mask. And I didn’t even know who Jason Voorhees was at the time; the only R movie I’d kind of seen then was Flashdance. But I didn’t need Jason, yet. Just this album. Studying that cover, I knew it was perfect, it was everything, it would last forever. And it has. Prince, “When Doves Cry.” When I was twelve, I rode to Colorado with a friend, and we shared a walkman in the backseat, and Purple Rain was the only tape we had, and we listened until it was wobbly and untrustworthy, and then wanted more, wanted to hear it all again. My clearest memory of this particular song is having sat up over the front seat while wearing the headphones, and the top of my head crunching into the domelight of their Buick, my hair full of plastic shards, and thinking that if I just kept my head there for the rest of the ride, they’d never know what I just broke. Pink Floyd, The Wall. It wasn’t my album, it was my friend’s big sister’s. On record, of course, probably a double. Some days she’d play it for us, but that part with “Mother, do you think they’ll break . . . my balls,” for that my friend’s sister would always stand by the player and lift the needle so we wouldn’t hear ‘balls.’ She wanted to keep us safe from the music. Which meant that this music, it was dangerous. I don’t remember much at all about The Wall from then, but I do remember that it existed in my head as this amazing, dangerous thing. And that someday I was going to just sit there and listen to the whole thing straight through. Which, I mean, I have, of course. But I miss my friend’s sister. I want her still to be stationed by the needle, to keep the music dangerous. Queen’s Greatest Hits. The import. In eighth grade I met a friend behind the gym at lunch, an illicit kind of meet-up, and he reached way down into the front of his pants and came up with this cassette. No case, just the worn-out, grimy tape. And he looked around and gav e it to me, told me that if anybody asked, I didn’t get it from him. And not to ever let anybody hear me listening to this. 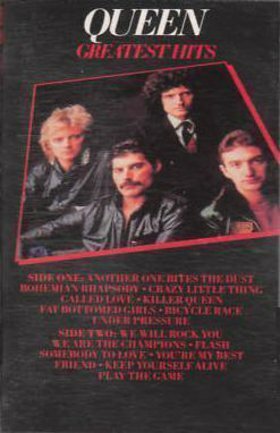 Even now, listening to Queen, if the songs aren’t in the same order as they are on that tape—even the CD’s wrong, as it has an extra song—then I get all confused, feel like I’ve stepped into some alternate, inferior dimension, when where I want be, it’s back to behind that gym, when music was contraband. 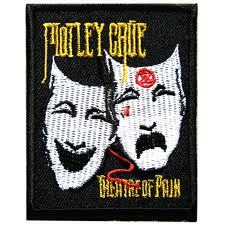 Theatre of Pain. Not because of the songs on the album, though it did have “Home Sweet Home” and “Smokin’ in the Boys’ Room,” but because of those two stage-masks, whatever they’re called. This is back when you knew somebody by the patches on their jacket, or on their one pair of jeans they never washed. 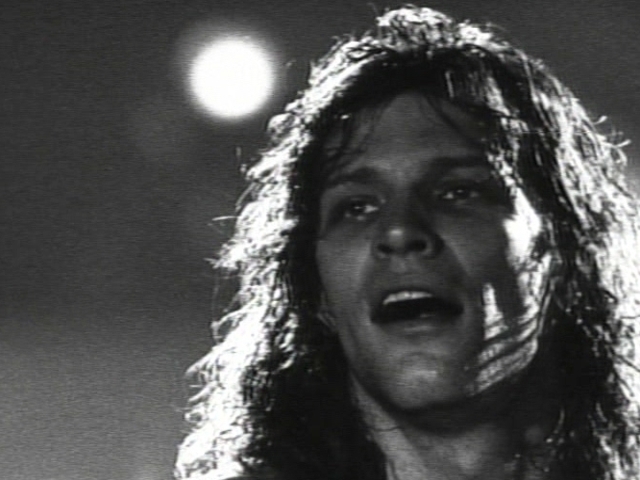 And you were pretty much either Metallica or Crüe—either in it for the metal or in it for girls. Me, I was Crüe all the way, would wear scarves around my head like Nikki Six, would walk around like I was wearing stage boots. Which, I mean, where I grew up you couldn’t even see the lights of the next house over, we were all so far apart. But still, I’d dress up like Nikki Sixx and stalk around our little house, catching glimpses of myself in the mirror, my mom’s make-up dragged under my eyes, and I’d know it was only a matter of time until I blasted out of this place. 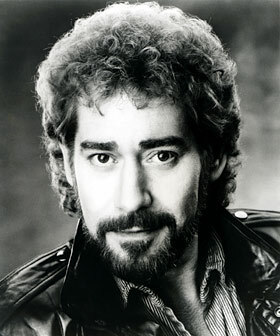 Earl Thomas Conley. It would be years until I saw a picture of him—you didn’t need to buy his albums, he was on the radio every other song, sometimes every song—but when I did, man. In the mid-to-late eighties, in country, there were already the hats and the fakers, and, Earl Thomas Conley, he was definitely more Conway Twitty than Johnny Lee, more Keith Whitley than Ricky Van Shelton, but still, that plaintive earnestness he could deliver all those cheating songs with. The regret and apology in his voice each song, it destroyed me. Or, what I knew was that I was that real as well, that I had it inside me to be that honest. Seriously, if any musician is responsible for me writing like I (mean to) write, it’s Earl Thomas Conley. 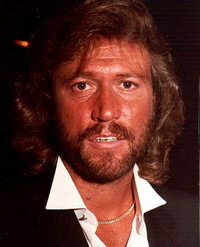 And, when I finally saw his picture, it all made sense: he was Barry Gibb all over. I’d had him in my head since first grade, already. Of course he spoke the truth. It was all he knew. Whitesnake ’87. When I was seventeen, we suddenly moved to Colorado. A thirteen-hour drive from Midland, Texas. Pulling out of town, revving my glasspacks one last time in what I thought was goodbye forever, my new Whitesnake album got stuck in the player. And it stayed there for the rest of the ride. And I didn’t mind even one little bit. I still don’t, can still listen to that album over and over and over. The songs, they’re all in the right order, and you can see Tawny Kitaen in your head if you try. Even if you don’t try. Eazy-E, Eazy-Duz-It. Which doesn’t fit on my list or in my life, I know. But in Colorado I got to riding around with this guy who had rich parents and a new Mustang with aftermarket speakers, and the onliest thing he would ever play, it was this album. 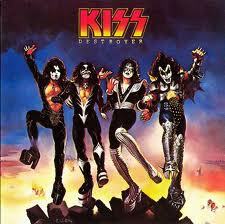 I mean, I had all my Poison and KISS tapes, my sacred Def Leppard, my radio-recordings of D.A.D. (because they were never in the stores), but he wouldn’t even consider them, like guitar solos hurt his sense of existence. 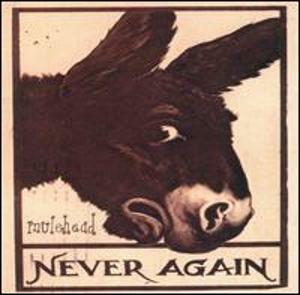 So, for months, and for no gas money (this was key), this album pounded into my head. I still know it. Just as well as I know Long Distance Voyager, or that Queen, or Whitesnake, or Pyromania. But when I sing along in my head, I still don’t say all the cusswords. I can’t. They’re too mean. But, yeah, I can sing along with Mel Tillis for “I Got the Hoss,” with Kenny Rogers for “Morning Desire,” with Great White on “Wasted Rock Ranger,” so, I don’t know: just real actual profanity, it’s never really fit in my mouth. Sorry? Guns n’ Roses, “Civil War.” Specifically, that breath that Cool Hand Luke warden takes before the song starts. When I was seventeen and back in West Texas, man, I felt it, I lived it, I knew it better than I knew anything, well enough that even the very particular sound of the empty space before that breath, I could identify it each time it came on the radio (KBAT, 93.3), even if the DJ was talking all over it. I could call it when nobody else could, and I was always right,and, I don’t know, it made the song ‘mine’ in a way no other song was. It still is mine, too. I should tell Axl. Anyway, this and “Patience,” what they told all of us was that GnR, they were the real deal. They had a message, they had some art, not just some talent. It made them safe to pledge allegiance to. It made them safe to get all misty to, deep in the intellectual hours of the morning, when things matter. Because you were getting misty and intellectual with them. It made all the difference. 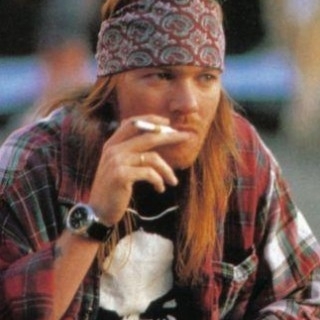 That Axl was such a difficult personality, too, that just made the songs that much more true. They were coming from a tortured place, a place of pain. We could identify. We could so identify. Bob Seger and the Silver Bullet Band, Nine Tonight. This from the same uncle who introduced me to Waylon. This tape was in his brown-on-brown three-quarter ton supercab with the chrome wagon wheels, which I only got to drive on special occasions. So I only got to listen to this album in pieces, song by song. I mean, until I stole it. I’ve since bought it so many times, too. It may be the most perfect album ever, by our best singer ever. 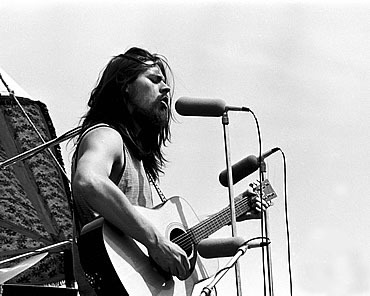 Bob Seger should be our ambassador to other star systems. He’s our only chance not to get annihilated. They’ll let us live just to hear him turn the page one more time. I only wish I could have heard him back in ’72. 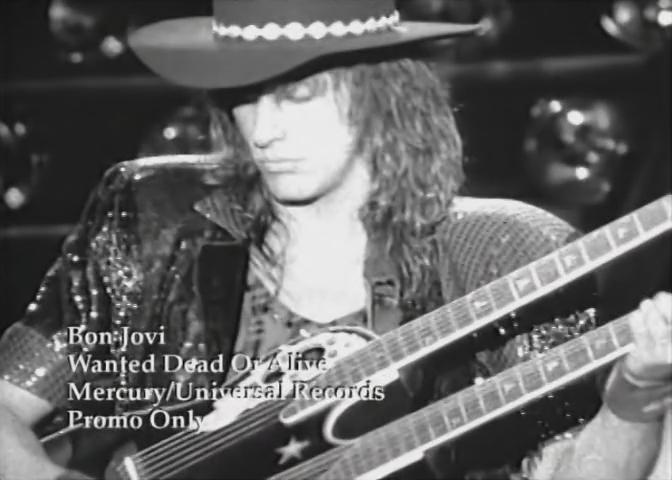 Tesla, “Love Song” and Bon Jovi, “Wanted Dead or Alive.” These had to have been on the charts at the same time. 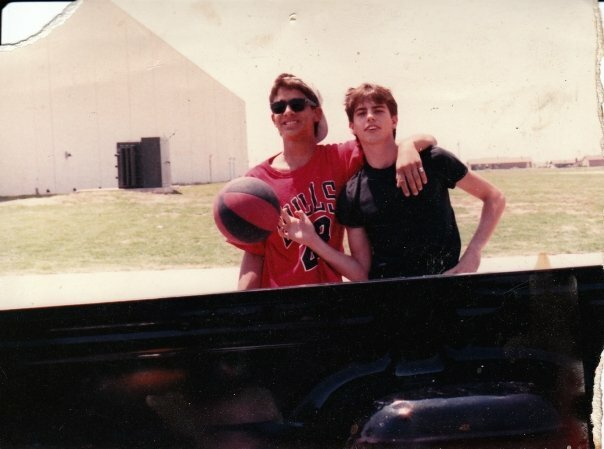 When they were, I was living in a trailer in a junk yard with three of my friends, not bothering with school, living off whatever doves we could sneak out and shoot, and we played these two into the ground, all night long every night. And somehow we got a guitar and taught ourselves the complicated intros to each of them. The plan, it was always to show up at some party we weren’t supposed to be at, then to haul an old acoustic up from behind the couch, lean over the strings like Richie Sambora, and start picking that song out. It’d just be in the background at first, but slowly the party would quiet and it would just be one of us and that song, happening. If this isn’t the perfect dream of being seventeen, then I can’t even guess at what that dream might be. Garth Brooks, “Friends in Low Places.” Eighteen years old and jobless for the week, I coasted my truck into an Avis lube shop where my best friend was working. I hopped down into the bay and fooled around with some stuff and then he got this look in his eye, asked me if I’d heard it yet. What? I asked. He dragged me upstairs to his boss’s glass office, and we hauled out the little radio, balanced it on the desk and dialed around the country stations until we found it just starting up, and we didn’t say a word until it was over, and I knew—knew knew knew—that from here on out, nothing was ever going to be the same again. And it wasn’t, it still isn’t. Gerardo, “Rico Suave.” Yep. I think this song hit when I was nineteen, and the look I was cultivating then—long greasy hair under a nasty bandanna, ragged clothes, fancy boots, starved down to nothing, and I already had the skin—it fit perfectly with that “Rico Suave” video. There was a period of about a month, kind of highlit by a spring break at Padre, where every club I walked into, the DJ would stop whatever was playing, would cue “Rico Suave” up. All I could ever do was smile, though, maybe shrug, take a free drink. Never dance. Which isn’t to say I never woke up unable to lift my head, from thrashing back and forth in some front row, but, when or if it came to dancing, it was either two-step or waltz, thanks. Which doesn’t make sense, but neither does West Texas. And, this song, “Rico Suave,” it was big at the exact same time “Silent Lucidity” was, which we all loved even more than “Desperado” (Queensrÿche was ours), but it was also on the charts with REM’s “Losing My Religion” I think, and—about 1991—somehow REM wasn’t considered that New Wave anymore, like New Wave had crumbled, but REM had been left behind. Meaning I could actually maybe ‘accidentally’ listen to them if they came on the radio (never The Cure or U2, though, which is still in effect). Wish there were some pictures from back then. Kind of glad there aren’t any, too. Meat Loaf, “Paradise by the Dashboard Lights.” I’d known this song, growing up, but somehow when I was nineteen, I heard it all over again for the first time (if you click no other link . . .). That whole Bat of out of Hell album. It and Journey’s Greatest Hits and Steve Miller’s Greatest Hits, they were the soundtrack of being nineteen, for me. But “Paradise,” man. That baseball sequence cutaway—I think I fell for it because I’d been trained on “What a Fool Believes” (“Paradise” was a text I could unpack) and because I’d been conditioned on “Civil War,” which has some similar ‘documentary’-type audio footage spliced in. I don’t know. But that song, its innocence, how frenetic it is, how desperate, how focused, how wishful, the desperate barganing with yourself, the rationalizing, it didn’t just speak to me then, it still speaks to me. I’ve been in that car, parked out past all the lights. We all have. Jim Steinman, he got it dead-on right somehow, even—travesty—righter than “Night Moves,” maybe. He captured a moment in all of our lives, and found the perfect guy to make it real, and loud, and fun, and forever. A good test for it that song’s hitting you right is if you already associate a color with it. If you already know what color those dashboard lights were casting. If you hadn’t even questioned it. Suicidal Tendencies and Poison. At least I think it was Poison, but Suicidal Tendencies really seems a better pairing for Skid Row. 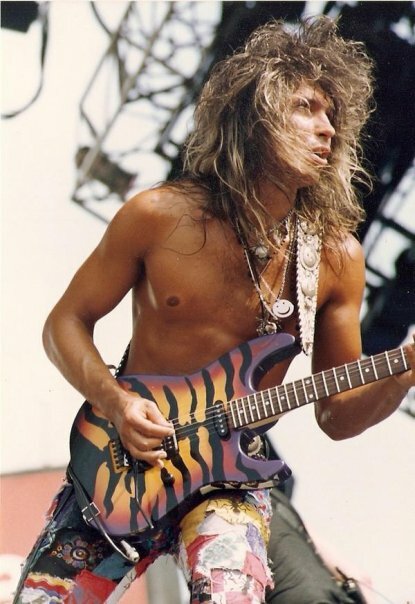 Anyrate, this is the night the hair metal era ended for me: we’d shown up hours early for this concert—this was 1991, maybe 1992—and were right up front partying, waiting for the night to open up. And of course something happened, a push fight broke out that I was in the middle of, maybe the cause of, and the police stormtroopered in in their helmets, dragged me out, threw me up against the wall to see if I could stand on my own. It was going to be an other night in the tank. Until my friend, who knew all the hair metal even better than I did (he still had his hair Bon Jovi’d out, then),weaved between all these police, pushed them out of the way, and took my by the hand, led me from that coliseum, effectively cashing his ticket in as well, just to keep me safe.Years and years later I’d buy tickets for the reunion tours, try to catch some of the magic again—of course stripper nuns on stilts wear electric-tape crosses as pasties—but you know the deal: you really can’t go back. Trick is, just never throw all your old cassettes away, I guess. Even if you don’t have a tape player anymore. 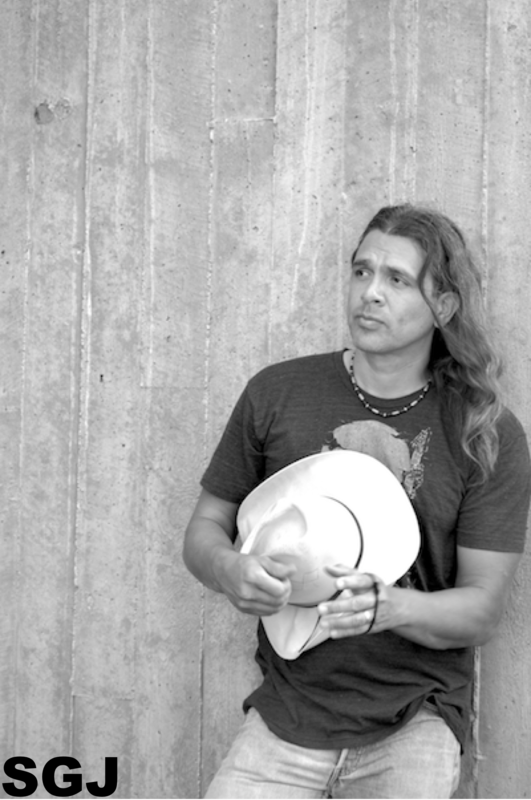 And remember that you used to have a fold-out poster of George Lynch taped up in your locker in tenth grade, because that’s who you were going to be someday. You still are. Just hold on. Never say goodbye. And, the twenty-plus years since then? There’ve been some songs that meant something, sure. I got the DJ to play Merle Haggard at my wedding, for the first song I’d dance with my wife. I think The Killers’ “When You Were Young” is one of the best songs ever written, and so’s Pink’s “Who Knew.” I feel lucky that Kid Rock broke like an egg yolk; it’s a better world, for his songs. I got choked up when Scream featured that cover of “Don’t Fear the Reaper,” a song I thought was only mine (via a different uncle), and I felt somehow validated when Bandits had Bruce Willis and Cate Blanchette singing along with Bonnie Tyler. By the same token, I felt seriously betrayed when Wayne’s World made “Bohemian Rhapsody” a song for everybody, I had no clue what kind of music was playing for Adventureland (that wasn’t my eighties), but I sang along with “Tiny Dancer” for Almost Famous and pretended not be crying on the inside, and I know for a fact I cried when Tony Soprano dropped his quarter in, conjured Steve Perry up from the past, and I’m pretty sure I got a serious catch in my throat when Fergie stepped up and just blew Mick Jagger and Bono just flat off the stage at the Rock and Roll Hall of Fame. But I still play the Crüe all the time, and I still remember dancing with a girl to “Crazy for You” in the eighth grade, at a bowling alley, then dancing to George Strait the next year in a cafeteria, with a different girl, and taking the girl who would be my wife to George Thorogood, where she got in a hair-pulling fight with the girls already there, and me just smiling, knowing that this was the life. And there’ve been some actually-new bands for me since 1991, too. Slim Cessna’s Auto Club, STP, Thriftstore Cowboys, 16 Horsepower, Eels, Webb Wilder, Drive-by Truckers, Rob Zombie, Todd Snider, Velvet Revolver (of course), Three Doors Down, Seven Mary Three (had high hopes they’d be Skynyrd, somehow), Bonnie Prince Billy, about half of Ween. Mulehead should have ruled the known universe. Steely Dan pretty much does. I’m glad Lady Gaga’s stepping in to fill Cher’s shoes, because I was seriously missing Cher, and I really dug Andre 3000’s showmanship when he was around, and I sing along with Britney on SingStar all the time (oh, and Simple minds: how’d I leave Breakfast Club off my list? ), and I’ve even got a couple of Eminem songs lodged in my head. I’m fascinated with will.i.am’s way of phrasing, with Snoop Dog’s elocution, with that girl from the Yeah Yeah Yeah’s twang, with Evanescence’s sense of theater, with Scott Biram’s raw delivery, with how Reba can be a person on the TV while also owning about half my music memories, and I think Gwen Stefani has something Charlie McClain to her voice that makes me unable not to listen to her. And, working a library job cataloging media ten or twelve years ago, I finally got around to all of Bruce Springsteen, and lines like “her body tan and wet down at the reservoir,” I’ll fight for them if you want. Any day of the week. Enough that I’m currently trying to raise two kids on a steady background of Springsteen and Seger, just to guarantee they grow up to be good people. Because I sure don’t know how to tell them what to do. But still, I hope somebody gives them a “Got a picture of your house, and you’re standing by the door” or a “It’s a little past supper time, I’m still out on the porch steps.” Or, I’m playing those for them already. But they need their own, too. And, though this won’t get me any points, I guess I’m still waiting for Dylan or the Stones or Zeppelin or The Who to finally mean something to me, and I’ve given up on waiting for the Beatles to matter, and while I do dig Metallica now, still, I’m not wearing their patch. All in all, though, yeah, I have to admit it: this crazy train, it’s passing me by. I’ve found my station, and I’m happy here. It’s kind of a stupid station, sure—Ed Bruce and Blackie Lawless and Madonna, one after the other?—but I don’t know any other way to do it. It’s the best time I can remember. All those tapes in that box in my garage, there’s lives in there. There’s my life. Maybe this is how we all do it, even. And, no, all the new and surely-cool music happening every day, I’m not going to hook into it, I know that much already. People give me CDs and mixtapes (on CD) all the time, and I try, I really do, at least for a song or two. Of course The Black Keys are amazing, anybody could hear that, and Nick Cave’s got some nice turns, and some of Tom Waits’ lines cut to the very center of your being . But my playlists, my albums, they’re always just a click or two away. And they remind me who I am. Who I promised myself I was going to be. Without them, I don’t know. I’d have no tether to what matters anymore. I’d just drift away, not even recognize myself. At the same time, though, I remember reading a Norman Mailer interview a few years ago, him saying how he didn’t read any of the new novelists, how they didn’t matter to him, and I felt so sorry for him, for how he was making himself irrelevant, for how he was cutting himself off from all the good stuff surely happening. For how stubborn he was being. But—isn’t that what I’m doing? I don’t know. Probably, I guess. I want to dress it up as something valiant or inevitable, or at least make it an understandable nostalgia trap, one we all fall into in our various ways, but I’d be lying if I didn’t say there was some fear there as well. Of the new stuff. Of how alien it is to me. How unrecognizable. What does that say about me, though, right? Who’s the alien now, Steve? Who’s the one who never thought he’d live past twenty-seven, wake up in this strange place. Still, this station I’m camped at, it doesn’t worry me as much as it probably should. First, because I suspect it’s part of how things cycle, and second, and not unrelated to first, it’s that that list I just did up there, there’s a twenty-six to it, too. It’s that look my son got in his eyes a a couple of years ago, when I gave him American Idiot and he spun it for the first time. He was ten, then, and, watching him with that album the next few weeks, even though some of the content was definitely not for ten-year-olds—maybe that’s part of the magic, right? Some songs, some bands, some artists, it’s like you’re getting away with something, listening to them. So, number twenty-six, numbers twenty-six through a hundred, through a thousand, it’s that look my son gets in his eyes about his music, like this is his, and it always will be. Like they were definitely thinking of him when they wrote it. I could never love Radiohead as much as I loved Motley Crüe because I’ll never be 15 again. I can certainly appreciate Radiohead, but they’re not an extension of my life. No rock band ever will be again. For 99 percent of the populace (myself included), that kind of mystical connection can only happen during those terrible, magical years when you somehow convince yourself that a guy like Nikki Sixx understands you. These glam rockers, they existed in a time before video games you could really ‘identify’ with. Yes? And, I’m saying this as somebody who got out of the joystick game after figuring out there was always somebody better than me at Galaga, so take my videogame-talk with that in mind. But, in 1987, say—at least this goes for me—Bret Michaels, he was my avatar, he was the me-in-the-screen. He was my better self, my purer self, my secretly-idealized self. He was the self I intended, that I always knew I had in me, if I’d just get on that bus, make it to the Sunset Strip. What I was doing was sitting at home in my bedroom playing first-person shooter via my Friday Night Videos, and he was the animation, living the life I couldn’t. It’s like, with him out there—with my better self already in LA—I could stay back in West Texas, sign up for college. Without all that hair metal as a kind of vent for our dreams, man, what would have happened to all of us? The busses would have been packed. Granted, they were promoting a lifestyle that’s all about burning out fast, but, when you’re seventeen, that’s about all you want. That they were doing it, though, doing it for me, in place of me, it meant I could push on, get to where I am now. I’m thankful for them, I mean. Hair metal endangered my life every weekend, no doubt. But it saved my life, too.